Our canine companions continually remind us of their desire to serve and protect. Some do that as pets, but others make it their profession. Because of their keen sense of smell—which is up to 1,000 times more sensitive than human’s—dogs can be invaluable in searching for things undetectable to the human nose. “They toil daily on our behalf, snuffling out contraband, explosives and human bodies buried beneath tons of collapsed cement,” says Bill Benda, MD, who has written extensively about the healing power of animals. But science is showing us that these beloved animals have abilities that go beyond airport security and into the field of medicine: “They can also detect covert cancer cells, or predict a hypoglycemic event or epileptic convulsion,” Benda says. Which begs the question: Is it time to put a Lab in the lab? This entry was posted on Thursday, August 9th, 2012 at 12:00 pm. 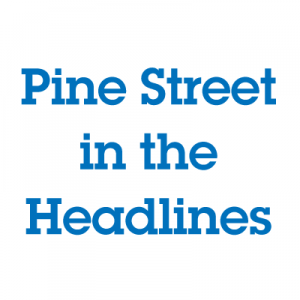 It is filed under Headline, Pine Street in the News.